Your oral health can tell you a lot about your overall health and well-being. Weak teeth, cavities, staining and teeth sensitivities are the most common conditions faced by many. Your oral health can tell you a lot about your overall health and well-being. Weak teeth, cavities, staining and teeth sensitivities are the most common conditions faced by many. Out of these, teeth sensitivity can be extremely painful as you eat anything too hot or too cold. 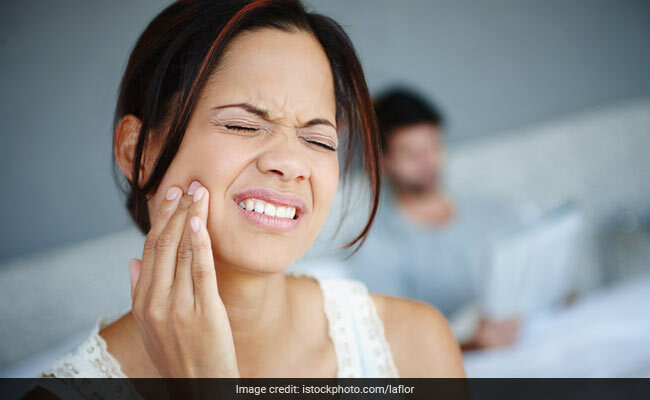 Sensitive tooth occurs when the substance known as dentin ruptures allowing the hot and cold stimuli to reach your nerves. According to various health experts, your brushing habits or intake of acidic foods may lead to teeth sensitivity. Interestingly, there are ways by which you can easily get rid of teeth sensitivity with these expert tips. Keep a check on your intake of acidic foods and drinks. Ensure you are not over feeding yourself with excessive amounts of acidic foods as they might wear down the enamel. Ensure that you brush about 20 minutes after eating. People with gastric problems or gastric reflux should be treated with appropriate antacids, as acid reflux may lead to demineralization resulting in dental erosion. Try bringing iodine solution to your rescue. The iodine content in salt and water improves the pH of your mouth that doesn't let the bacteria grow. Stop the usage of teeth whitening treatments or alcohol based mouthwashes as they may make the situations only worse. Even if you wish to use them, make sure they are natural. Clove or clove oil can be one of the best solutions to get relief from tooth sensitivity. In case of extreme sensitivity, make sure you visit a dentist as soon as possible.